A couple of weeks ago, I attended the Aspen Ideas/Spotlight Health Festival, an annual three-day conference where health and medicine experts come together to discuss leading industry topics. And it made me think hard about the future of health care, and, moreover, the different ways in which Vital Interaction™ can help medical practices navigate the many challenges and changes they’re currently facing, as well as those that lie ahead. Providers and staff are overworked and spend more time than ever before documenting and focusing on tasks that do not involve directly interacting with and serving patients. Interoperability between software systems is still very much a dream, so to speak, with no clear-cut solutions in sight. The best outcomes still — and most likely will always — come from high-quality doctor-patient interactions that are focused on encouragement, accountability and understanding. Machines simply cannot replace that (and probably never will). Practices and systems are stuck between the shift from fee-for-service payments to value-based payments and are trying to figure out how to make the transition. EMRs/EHRs provide us with more data at our fingertips than ever before; however, we have yet to figure out how to best use this mass data. Many people in this great country remain without medical care and/or underserved. As I contemplated these key issues, I felt inspired by the many ways in which our company can contribute to helping our clients solve them. Read on for a closer look at what lies ahead for patient care and how the Vital Interaction™ system stands to help your medical practice improve care. I have a clear vision of the future and a better understanding than ever before of just how our company can help medical practices tackle these crucial challenges. As a company, we will continue to improve the Vital Interaction™ System, developing more state-of-the-art tools and workflows to automate even more manual, repetitive tasks. This will enable providers and staff to focus on what matters most: serving and encouraging patients. 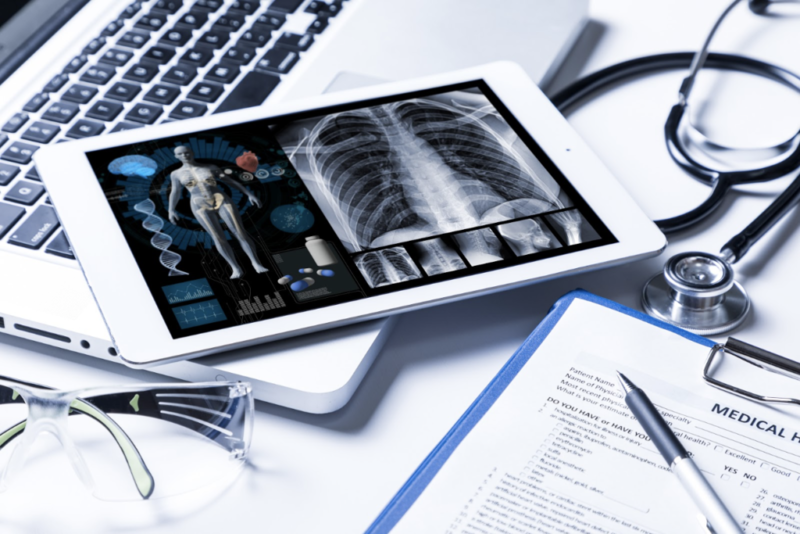 The day is not far off when the majority of billing, scheduling, approvals, authorizations, and even clinical documentation will be handled by machines. However, the fact remains that machines can never replace the human touch and connection, which is ultimately the essence of healthcare. With that said, our company’s vision and chief goal is to enable healthcare providers and systems to employ as many human resources as possible to interact with and serve patients, ultimately improving care and strengthening the doctor-patient relationship. We provide a platform that accomplishes repetitive, time-consuming tasks that are normally handled by staff in a fraction of the time, allowing for more human interaction. Automated Referrals tool, among others. Our system is specifically designed to help medical practices not only navigate the fee-based world of today but also prepare for the value-based world of tomorrow. More importantly, the Vital Interaction™ system empowers providers and hospital systems to focus on those patients needing care most and serve them in new, improved ways. Together, we can help maintain the genuine, vital, human interaction that defines quality patient care. Is your patient communication system helping your practice bridge the gap in patient care? Call (512) 487-7625 or contact us online to discover the Vital Interaction™ difference.